Over the years red has really become a staple color in my wardrobe. Naturally, I just couldn't resist this bold cherry red dress. It's so perfect for the holidays that I am sure will be sneaking up on us quicker than we can imagine. Plus I just love how full the skirt is. So adorable! Hope you all are having a lovely Thursday. 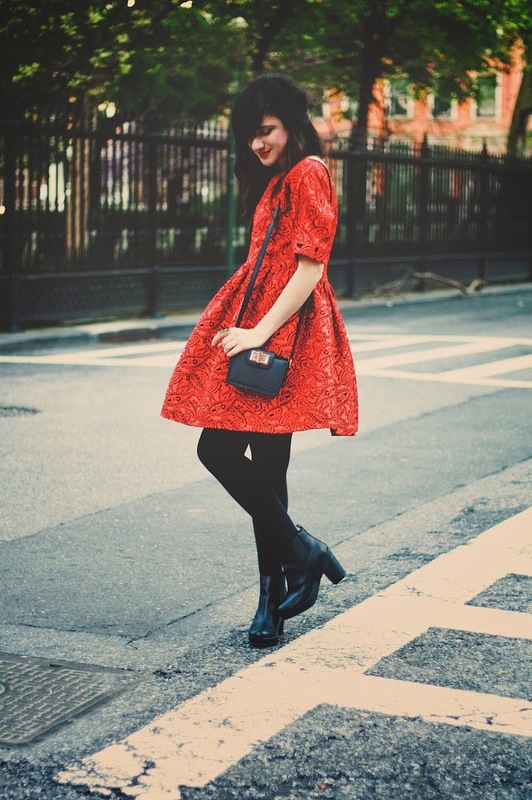 Your wonderfully flared cherry red dress is a cheerful and delightful fashion piece for both autumn and the holidays. It looks lovely. Red looks so good on you! I love the booties too! Oh my, I love this whole look! Red and black are my favourite clothing colour combo ever and seeing you in this outfit reminds me why. 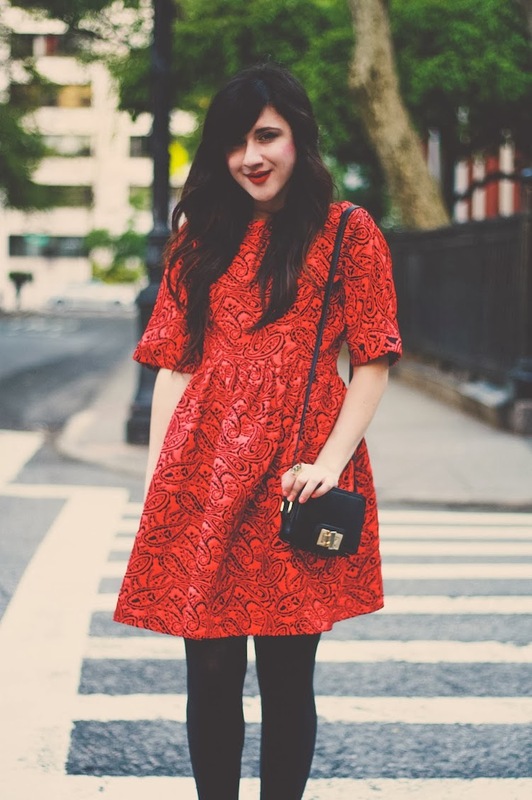 Oh I love red dresses, this is so charming on you! Love the silhouette! 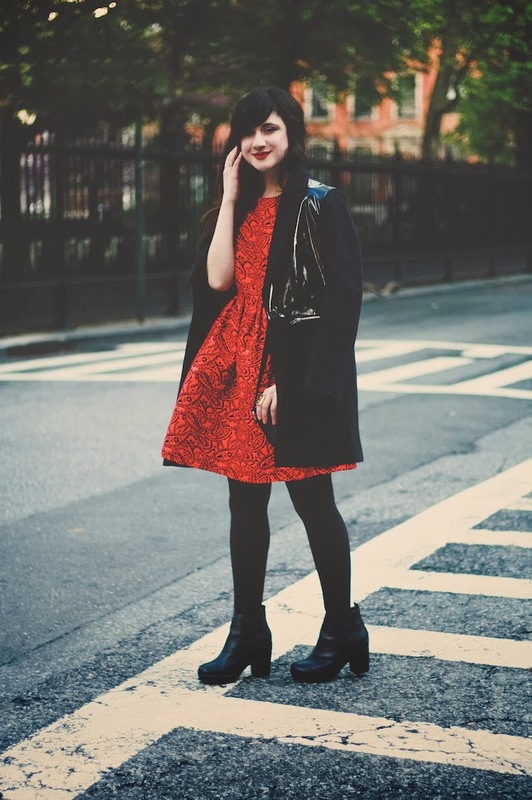 lovely red dress and love how you styled it! Such a lovely and girly outfit! I just found your blog! Wow, you are so cute! Love the dress! Really gorgeous! love that dress. oh my god!!!!!!!! i love the dress!! !